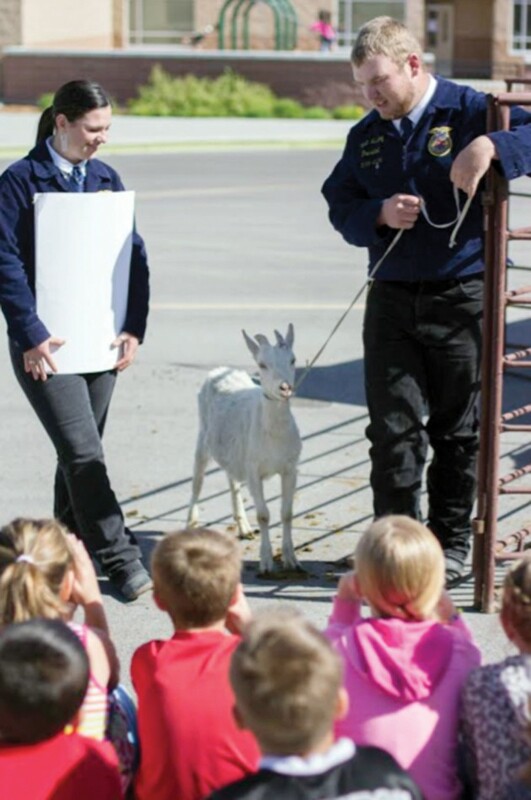 Grantsville High School FFA members Kaycie Ahlstrom and Wyatt Harding teach students about the importance of goats as part of the organization’s Food for America program on May 19. On Thursday, May 19, 2016, members of the Grantsville High School FFA participated in the annual Food for America program. They traveled to both Grantsville and Willow Elementary, teaching the third-graders how to make butter out of cream, where cookies come from, and where hamburgers come from. The group took animals to both schools and taught the students about them and all about FFA and the importance of agriculture.